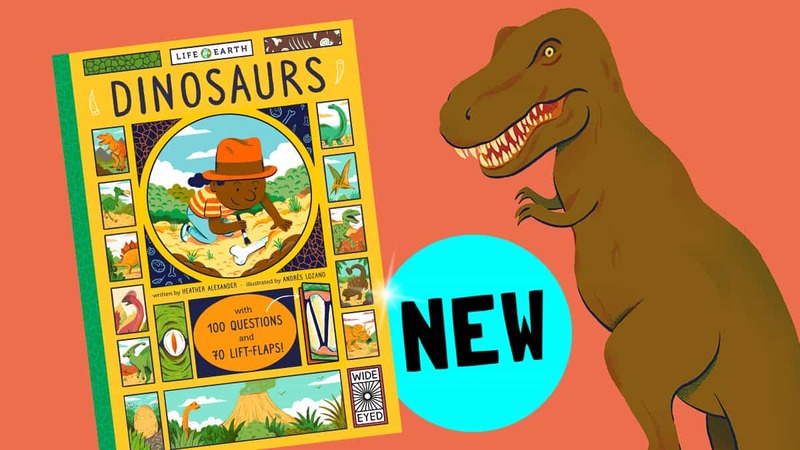 Get all the answers to your dinosaur questions with Life on Earth: Dinosaurs from Wide Eyed Editions! When did the dinosaurs live? How did they hunt? And why is the T-Rex the scariest dinosaur? Find out the answer to these and many more questions in Life on Earth: Dinosaurs from Wide Eyed Editions. This stylishly designed book answers over 100 questions and has more than 70 lift-flaps to open. With gorgeous, detailed illustrations throughout, this is the perfect introduction to the world of dinosaurs!